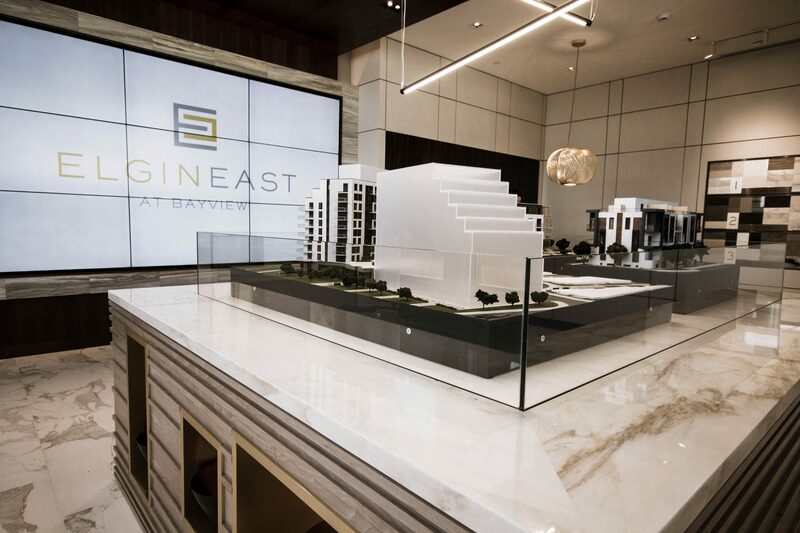 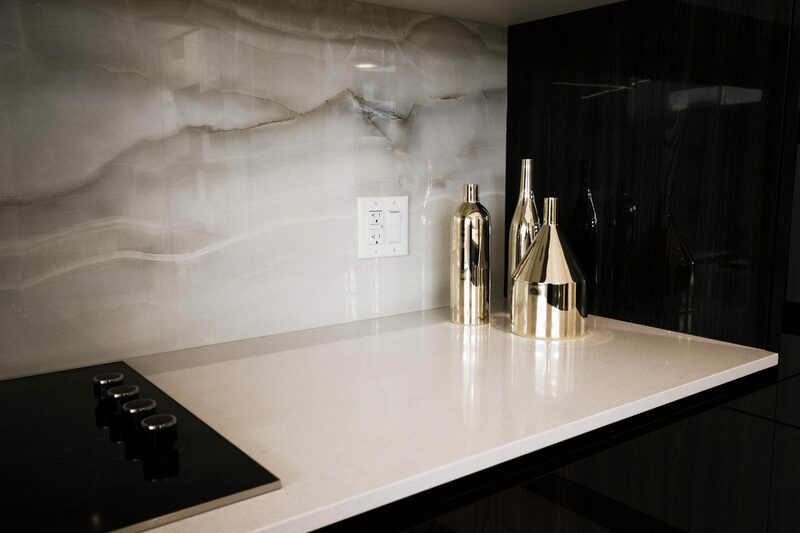 This presentation gallery sets the tone for the final boutique condominium and townhome development’s sophisticated, contemporary, Zen-inspired environment. 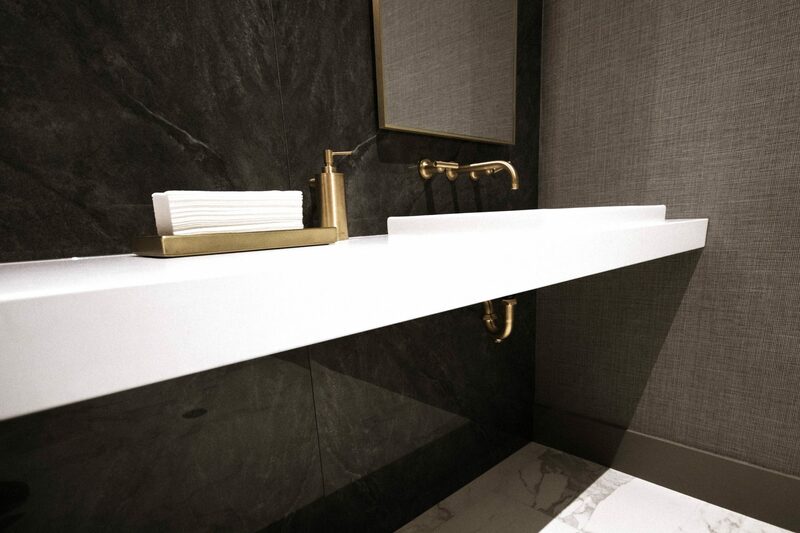 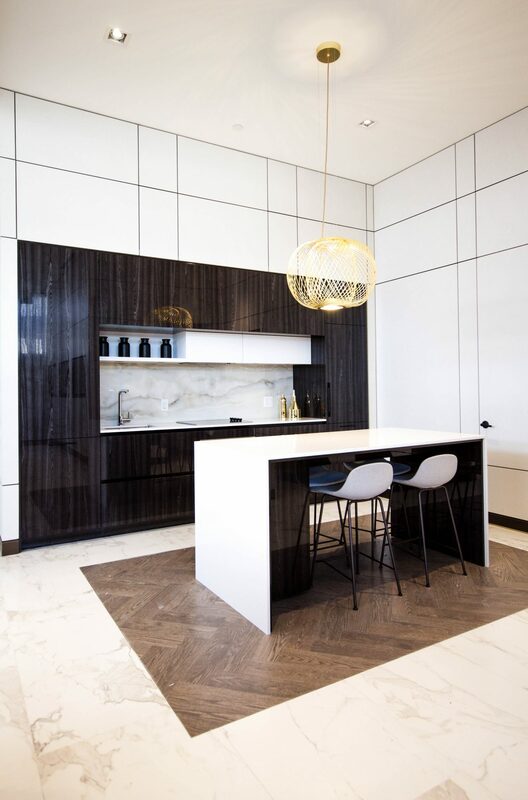 As such we integrated polished graphic stone walls, lacquer/walnut millwork, metallic accents and a modern take on Shoji wood screens - these divide, while simultaneously injecting mood and mystery. 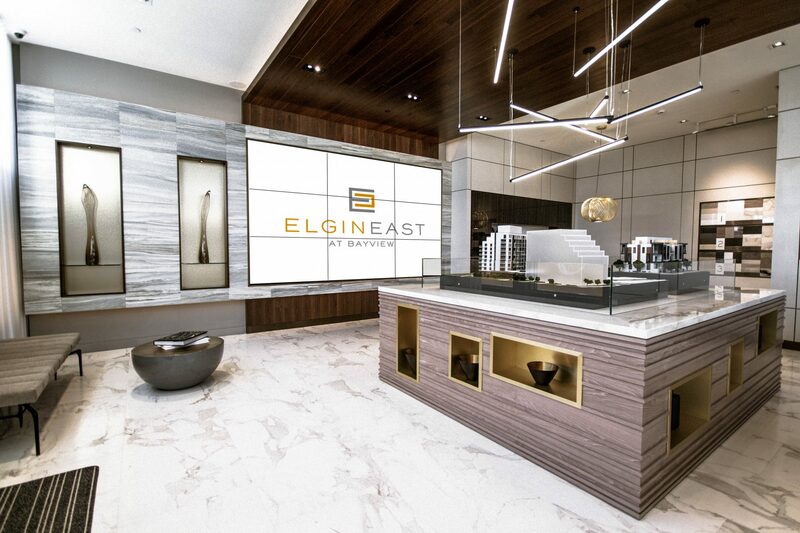 The result is an overall balanced luxury experience for a discerning upmarket clientele.